Vladyslava Luchenko showed her extraordinary musical gift already in early childhood. Aged six, she entered the Lysenko Special Music School in Kiev, and only four years later she won her first international competition. At the age of 11, she made her debut in the Kiev Philharmonic Hall and since then she has played throughout Europe as a soloist with orchestras such as the National Orchestra of Ukraine, the Verbier Festival Orchestra and the Lucerne Symphony Orchestra. Vladyslava continued her studies in Zurich and Berlin under Prof Zakhar Bron and Prof Stephan Picard. During this time she was a prizewinner at many international violin competitions, such as the Tibor Varga Violin Competition, Martigny (2010), Andrea Postacchini, Fermo (2009 and 2010), and the Rahn Musik preis Competition in Zurich (2010). She has also won other prestigious awards such as the Rotary Excellence Prize, Lugano (2013) and the Migros Culture Percentage in Zurich (2012). Vladyslava plays with the Stradivarius Piatti – 1717 kindly lent by Michael Guttman Foundation. She also plays with a Eury bow. 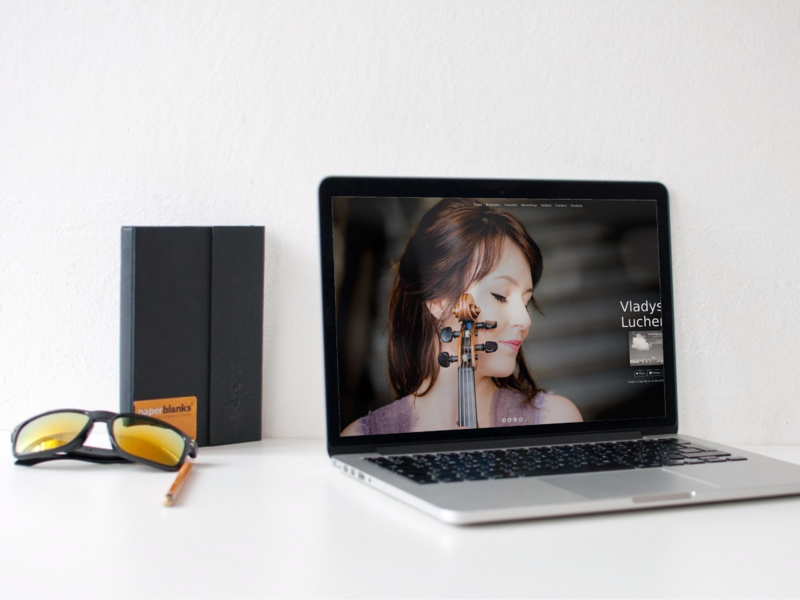 Vladyslava Luchenko is an international violist from Ukraine that currently stays at as a resident student at the Queen Elisabeth Music Chapel in Waterloo. In 2016 We were honored to design a website for her as an attempt to broaden her horizon and shout out her artistic talent. To be honest we've seen her performance and we were blown away. 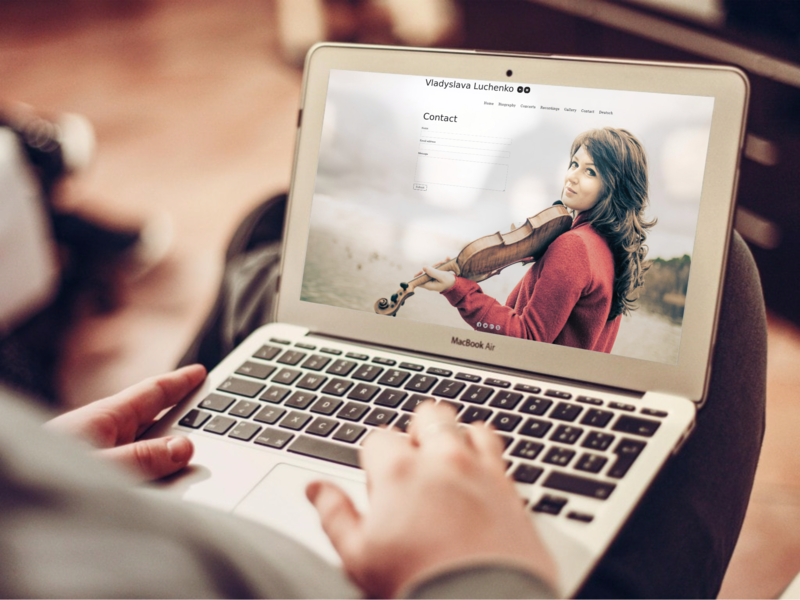 This website was a challenge to represent that talent but we managed by adding a lot of audio parts.